Elisabeth Franziska of Braunschweig ("Elisabeth Franziska von Gieße") (1853 - 1918) was the wife of Crown Prince Anders of Arendaal and thus the Crown Princess Consort of Arendaal and ¡Götarike (Suionia) from 1871 til Anders' death in 1897. 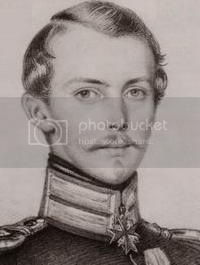 As he predeceased his mother, Queen Louisa I of Arendaal, his son with Elisabeth, Niklaas, would succeed Louisa as Monarch. Elisabeth was the eldest daughter of the Duchess Franziska I Mariana of Braun schweig, a powerful imperial estate and electorate in Wiese. Her father was Prince Wilhelm Ludwig of Saxony. Crown Prince Anders met his future bride two years before they married, when he visited her mother's Duchy during the course of his 'continental tour' of Europe. Elisabeth was a year younger than himself and shared his temperament. The two began an active correspondence after Anders' return to Arendaal. When pressure increased on the young Crown Prince to marry, he sent an Embassy to propose his suit. Elisabeth would never become the Aren Queen, however, as her husband predeceased his mother Queen Louisa I, and thus the Crown passed to Elisabeth and Anders' son, Niklaas IV. 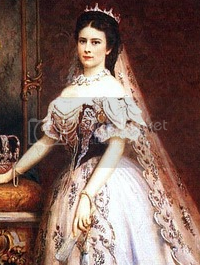 As wife of the Crown Prince, Elisabeth Franziska was styled the "Crown Princess", or more formally the "Crown Princess Consort", of Arendaal and Götarika (Suionia). She and Anders' spent much of their time entertaining on a lavish scale at their main residence of Thorvald Palace. Her husband and in-laws affectionately referred to her as "Ella". Pretty and amiable, she was well liked at the Royal Court, and was a great trend setter in Aren High Society. Elisabeth and Anders' marriage is considered a success - though it was occassionally stormy, particularly given Anders' penchant for gambling, it was also unusually passionate. Both partners were emotional rather than practical, and thus they were known in their early years to quarrel furiously and then reconcile hours later. 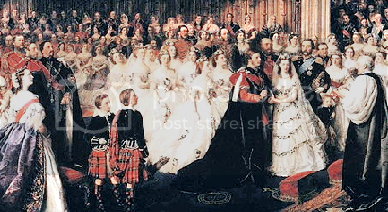 Both Elisabeth and Anders dotted on their children, although Elisabeth, unlike her husband, was keen that her daughters should make dynastic matches. He, by contrast, declared that his "daughters could marry chimney-sweeps if it made them happy" for their happiness was "all that mattered to him". Elisabeth's daughter Madeleine of Arendaal would become Empress Consort of Wiese, through her marriage to Emperor Karl III of Wiese. 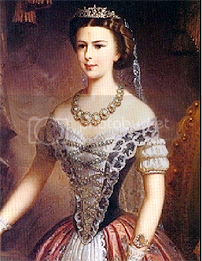 Madeleine was thus the mother of the current Emperor Friedrich Wilhelm II of Wiese. Elisabeth Franziska was devastated when her husband died suddenly in 1897. She begged her mother-in-law Queen Louisa I of Arendaal to let her withdraw from court, and she spent the last years of Louisa's reign and the early part of her own son Niklaas IV's reign in seclusion in Fjordholm. She returned to Court occassionally, staying for six months at a time when her grandchildren were born, but retired to Thorvald by 1917. She died there in 1918, a few months after her eldest son's untimely death. She was burried beside her husband in Karlskirche.